Earlier this year, I posed a question about the future of Housemarque, a Finnish studio that has become the gold standard for arcade shoot 'em ups: Will Nex Machina be the last of its kind? 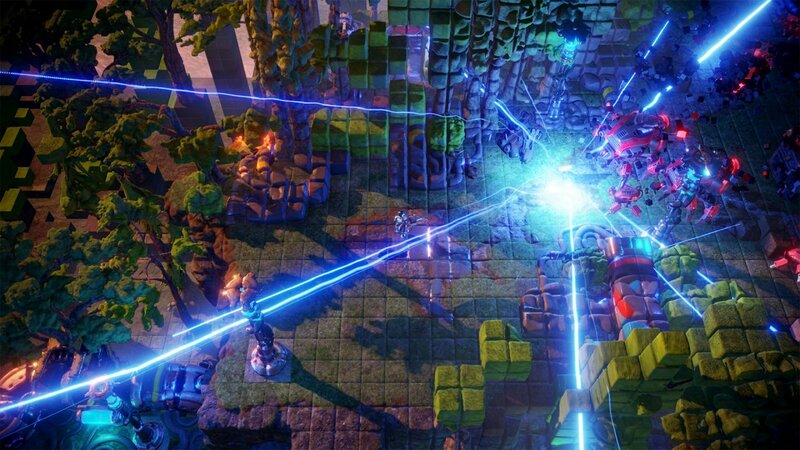 Nex Machina was another twitchy, twin-stick action game in the vein of Super Stardust HD and Resogun, created in partnership with Eugene Jarvis, the godfather of the form. It launched in June, a month after that article was published, and it knocked the critics for six. With a Metacritic average of 88 on PlayStation 4, it will finish the year as one of the most widely praised games in any genre; a single point behind Cuphead, and three better than Destiny 2. It wasn't enough. According to Ilari Kuittinen, the CEO and co-founder of Housemarque, the commercial performance of Nex Machina and its other major release this year, Matterfall, spoke loudly and clearly about what the company must do next. Ten years after the launch of Super Stardust HD, Housemarque will leave the style of game for which it is best known behind. "We made the best game we ever made according to Metacritic, and I think we all feel the same"
"It's bittersweet at this moment," he says. "The era, the ten-plus years that we've been mostly working on smaller, downloadable, arcade-inspired console games has come to an end." For those who played and loved Nex Machina, in particular, the decision will be difficult to fathom. Matterfall received only solid reviews from the press, but Nex Machina was evidence of a studio operating at the very peak of its craft. If one can take any lesson from the wide gulf between Nex Machina's quality and its sales, it is the waning influence that even glowing reviews such as this have on the buying habits of the public. "We did our best," Kuittinen says. "If you make a better twin-stick shooter we'll look at it and say, 'wow, you guys are good.' We did something that very few people can exceed... We made the best game we ever made according to Metacritic, and I think we all feel the same. "There's the thought that we're a bruised champion, getting out of the ring, still with the belt, but we'll have to recover for quite a long time - maybe move to another weight class, or something like that." Ultimately, Housemarque's decision is one based on commerce, not craft. 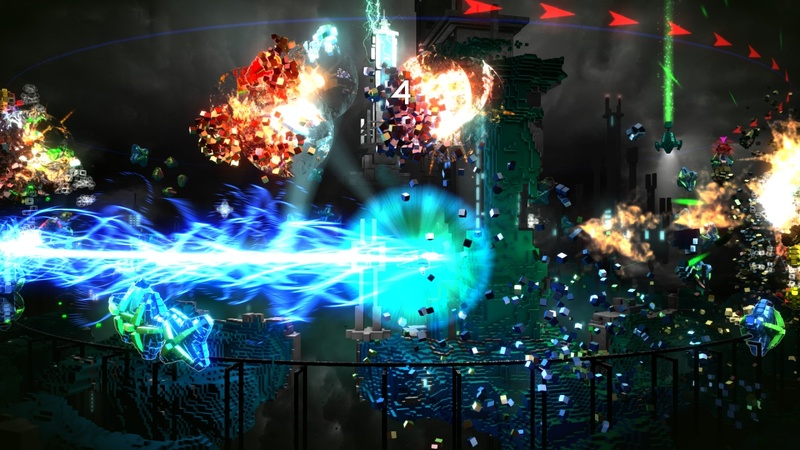 Kuittinen is open about the fact that the studio's games have never enjoyed "massive sales" in the past, and its most widely played game may well be Resogun, which was given away to PS Plus members when the PlayStation 4 launched. If the goal of that strategy was to create interest in Housemarque's future work by freely disseminating a quality product, it seems to have had the opposite effect. "We know from those numbers that quite a lot of people have played those games, but I think it's more that they don't want to pay for them. They expect to get them for free," says Kuittinen. "Actually, Super Stardust HD sold more for PlayStation 3 [ten years ago], when it had a fraction of the owners that PlayStation 4 has now with Nex. So maybe those people have just moved on. They are not active in the market any more. "The core thing is that there's no paying audience for games like this. Or we can't reach them, and I don't know how those people can be reached if they haven't heard about our games [already]." "The core thing is that there's no paying audience for games like this. Or we can't reach them"
Nex Machina was the first Housemarque game to be released on PC for almost 20 years. It was a gamble, in many ways, a bid to find all the people who had supported Housemarque between 2007 and 2010 and then slowly, steadily disappeared. Ultimately, sales on PlayStation 4 and PC were "quite equal", an unexpected result hampered only by the frustrating detail that sales weren't particularly good on either platform. The problem may well be the abundance of options. Throughout our interview, Kuittinen draws lines of distinction between Housemarque's products and other, ostensibly similar games on the market, largely on the grounds that his team brings a level of technical sophistication and polish that is unique within the genre. It is difficult to argue the point, but it is easier to question just how much that matters when (admittedly far less refined) top-down, arcade-inspired shooters are so abundant, and for a fraction of the price that Housemarque must necessarily charge for Nex Machina. If the explosion of product on digital platforms has taught us anything, it's that a great many people are happy to settle for a hamburger when the alternative is a $25 steak. Kuittinen seems reluctant to draw any firm conclusions, because the most important decision has already been made. Housemarque will not make another game like Nex Machina, or Resogun, or Super Stardust HD, and this is no knee-jerk reaction to a year of commercial disappointment. "We've been preparing for this moment," he says. "We would love to have continued developing Nex Machina for years to come, to support the audience that has been loyal to us. But unfortunately there is not enough of those guys." The goal now is to prove that its expertise were never inextricably linked to top-down or side-scrolling shooters. Kuittinen notes that, in the past, Housemarque has made point-and-click adventure games, snowboarding games and casual golf games; there is a variety in its portfolio that may surprise people who only know the studio from its output in the decade since Super Stardust HD. The next project will be a departure, Kuittinen says, but it may also show people that Housemarque's skill lies as much in mastery of elusive qualities like feel and pace and momentum as any specific genre. Housemarque first pitched its next game at GDC in 2015, and it has been actively prototyping the concept for more than a year. Kuittinen offers these details as proof of just how long he has been preparing for transition, and also to counter any possible suggestion that Housemarque is "jumping on the bandwagon." "It's totally the opposite of what we have been doing. It's quite exciting, and scary at the same time"
Now is not the time for concrete details, though, save for the fact that the new game will embrace online and multiplayer to a far greater extent than Housemarque's previous work, and that it will very likely make its debut on Steam Early Access. "We always try for polished games, to make each game as finished as possible given the time and the resources," Kuittinen says. "Typically, we've taken more time than we originally planned to make that happen. And now, we want to explore, hopefully in the very near future, getting something out quite early - much, much earlier than even we ourselves are comfortable with, to see if that's something that gets any traction. "That also leads us to another kind of model: games as a service, and getting more in touch with the community, before the game is even half-finished. It's totally the opposite of what we have been doing. It's quite exciting, and scary at the same time." Housemarque will reveal more about this new direction in the coming months, but Kuittinen wants the world to know that, despite the disappointments of the last six months, Housemarque is still very much in the fight. It still has a team of 50 people - much the same size as two years ago - and 50 people who are all excited (and yes, a little scared) about what lies ahead. "People understand that things change, but we want to try to reach out to a bigger audience," he says. "We have a lot of belief that the core expertise that we have can be translated to something else, whether that's just moving the camera away from top-down, or moving to another genre. "That core gameplay will still come through. The core will always be there." Best of luck to everyone at Housemarque, and much admiration for Ilari's frankness here. Reinvention is never easy, but they have the talent and drive to make it work. "Alienation" was one of the few games that I felt that deserved my playtime until I "platted" it in the last years. I'm really going to miss their take on arcade. I disagree with their idea that arcade games are dead, but it's their choice to make and I'm sure that their talent will bring us great experiences in the future.